← LOW CARB is a LIFESTYLE, NOT A DIET! How much do you want to lose weight? Do you really want to do it? Then, you have to work for it. You can’t do anything half-assed and expect full results. So, here are some suggestions to do it and do it well. 1. Plan and prepare your meals for each day. 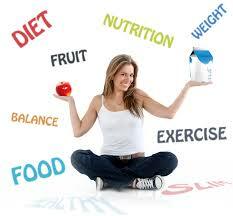 You gained weight because of BAD choices or UNINFORMED choices, so this is not a diet, this is a change of LIFESTYLE. You have to plan what you will eat for breakfast, lunch and dinner and your three protein snacks in between and after dinner. You have to prepare to eat something with protein every 3-4 hours, four small vegetable servings a day, two small vegetable servings a day and two small salads a day. You can even make part of your plan to go out, but have in mind what you would order that will fill your daily requirements. If you eat pasta, rice, wheat products or starchy vegetables, you might be ruining your chances for success. 2. Your in-between meals can be snacks that are protein-based like a protein bar, but choose snacks wisely. Low carb choices have to be the way to go. Even yogurt needs to be a good choice. Dannon Greek Lite and Fit has 8 g of carbs and Chiobani has 20g of carbs. 3. Try to eat items that have a lot of fiber. Some protein bars have fiber. Good vegetables have fiber. Fiber makes you feel full and less like snacking. You can even use a fiber supplement like Metamucil. 4. Shop smart. “When I go shopping, I read labels. I look at carbohydrates, and I don’t buy anything that’s over 20 carbohydrates. I Don’t buy large quantities of food because then you don’t overeat. 5. Find an enjoyable exercise. I prefer Pilates, Yoga and the elliptical if I can use my IPAD while on the machine (killing two birds with one stone.) Some people hate all of that and love Zumba or dance, or even swimming. Some people like group social hikes. Some people only like walking their dog. Find something and do it. No more excuses. Moving your body is good for being youthful, healthy in body and mind. 7. Educate yourself. I learned a lot by going to Lindora and reading their books. I read online a lot about carbohydrates, glycemic loads, etc. Read Skinny-Rules to learn. You need to learn what to do to lose the weight. 8. Get support. The nurses at Lindora were excellent support for me. Some like groups like Weight Watchers or Overeaters Anonymous. Look into a support group, person or website.